When the heat of summer hits, you certainly want to be sure that you have a reliable cooling system. 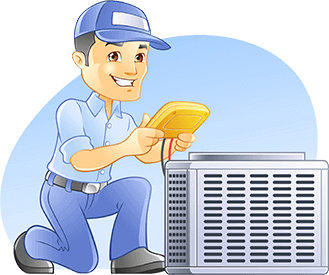 Of course, when you want top performance, professional AC service is a necessity. Whether it’s having your new air conditioner professionally installed by a trained technician or it’s making sure you schedule preventative maintenance, an air conditioner that is running at its best will be able to deliver reliable cooling as well as more energy efficient operation. Of course, a big part of making sure that you get quality service is making sure that you choose a leading AC contractor. Many homeowners wait until there is a problem with their cooling system before looking for a contractor to make repairs. Unfortunately, waiting until your air conditioner isn’t working will typically mean there is little time for doing thorough research. If possible, it’s a good idea to spend some time researching area contractors before you actually need one. A reputable air conditioning company will offer a wide range of services. They will have trained service technicians who can handle everything from diagnosing and repairing problems with your cooling system to annual maintenance and tune-ups designed to keep your HVAC equipment functioning at its best. When you choose a reputable AC contractor with a great reputation for quality work and customer satisfaction, you’ll be able to ensure excellent results. Regardless of what type of AC service you need, making sure that you schedule repairs or maintenance in a timely manner can be an excellent way to help protect your cooling system. A cooling system that is in need of repairs or a tune-up is not functioning at its peak. This often means that it is under more stress than is necessary and this additional stress can cause premature breakdowns and eventually, shorten the lifespan of your cooling equipment.